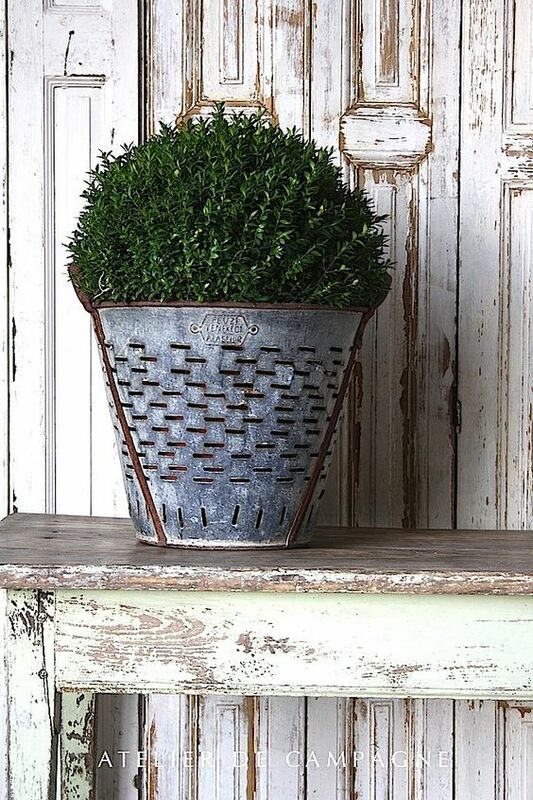 My Love for Vintage Olive Buckets - and Why I Have to Have One! Those of you who know me know I love antiquing. 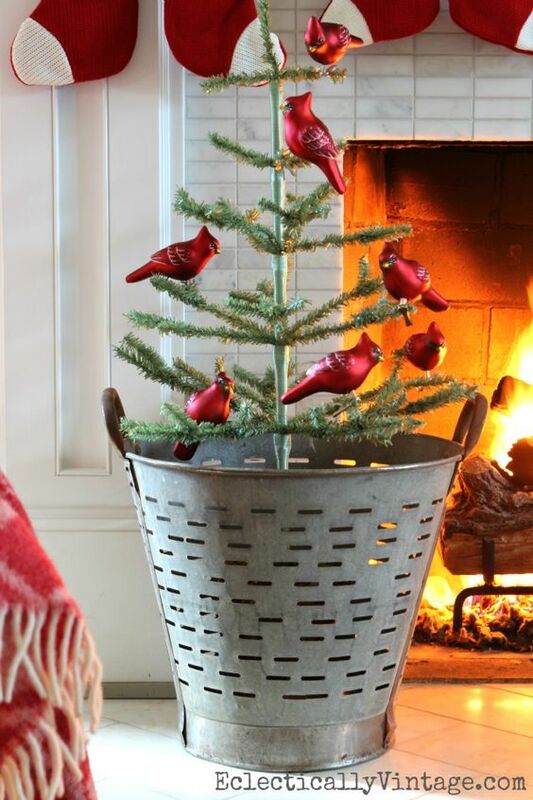 And one of the things I’ve been really wanting for awhile now is a vintage olive bucket. 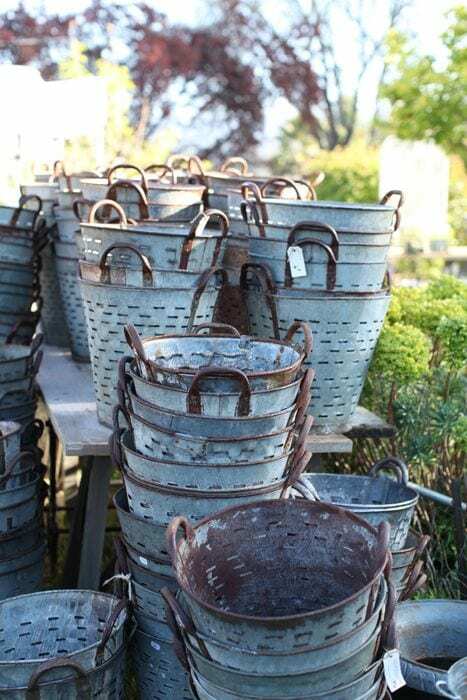 If you’re not familiar with them, they are old metal buckets primarily that were used for gathering olives during the harvest, primarily in Italy and France. The true vintage olive buckets almost always have some rust, usually the handles, but sometimes more, which I actually love. 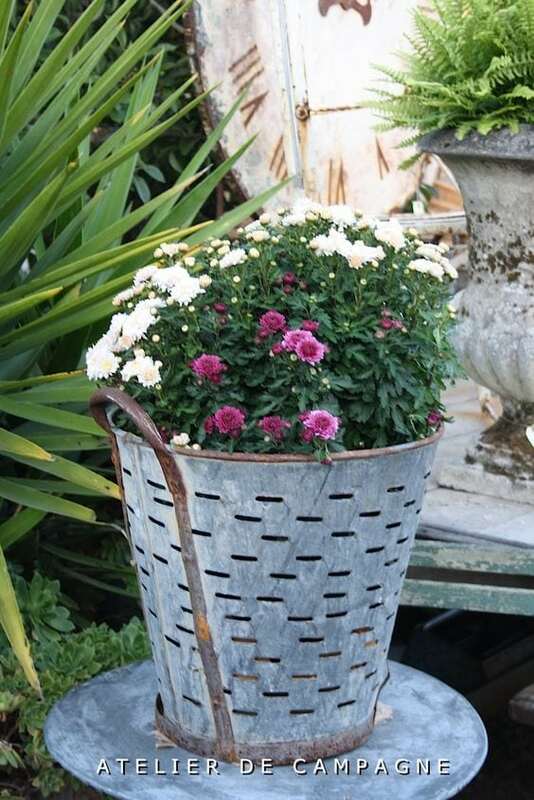 The contrast of the rusty edges with the still metal color of the rest of the bucket just makes my heart sing! And I’ve seen them used for so many different things, and in so many different ways. I love their versatility and utilitarian charm. What can I say?! I’m smitten! 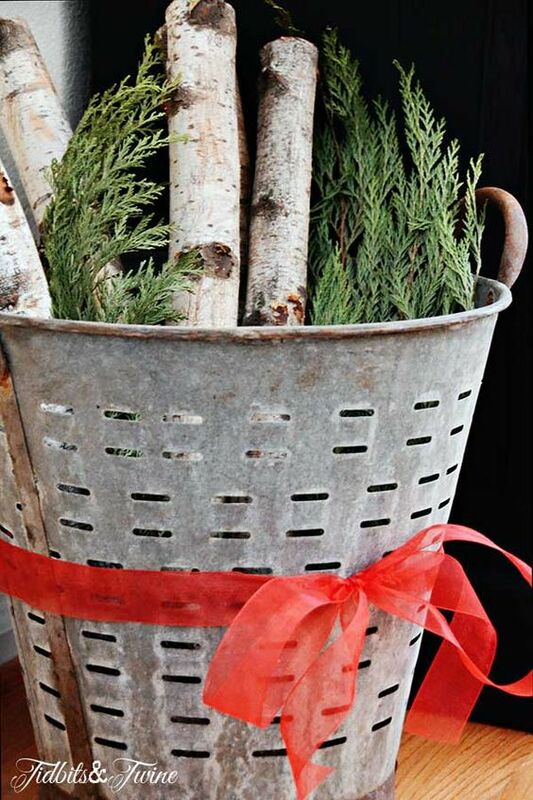 Used here to hold firewood and some greens, it makes an adorable addition to Christmas decor. Via Tidbits & Twine. Adorable used to hold a Christmas tree. Via Eclectically Vintage. I think they are just so cool! They would be great for magazines in the family room, towels in a bathroom (or by the pool! ), and of course, they look amazing holding bunches of flowers or plants. I have been looking for a vintage olive bucket on and off for the last year, but I have yet to find one here in Los Angeles. There are copies, but with vintage I usually like to have the real thing. However, I’m getting desperate! A friend told me about how she found a repro for $50 at Tuesday Morning! (I, of course, had no such luck). Which is probably for the best as I may have found a solution! There are actual vintage ones sold by retailers that I’ve seen recently (and they’ve been appearing on One King’s Lane often too, however, those are usually very over priced). I will probably go with the Ballard’s since it’s so easy to get a coupon for 15% off there. And, unlike an antique store purchase, I can return it if I don’t like it, right? Touch of Mod – an Update!! I have two I purchased at a local junk bonanza. But who knows if their authentic! Paid 50$ ea.!!! Well, that’s a pretty great price so I say if you love them, it doesn’t matter!